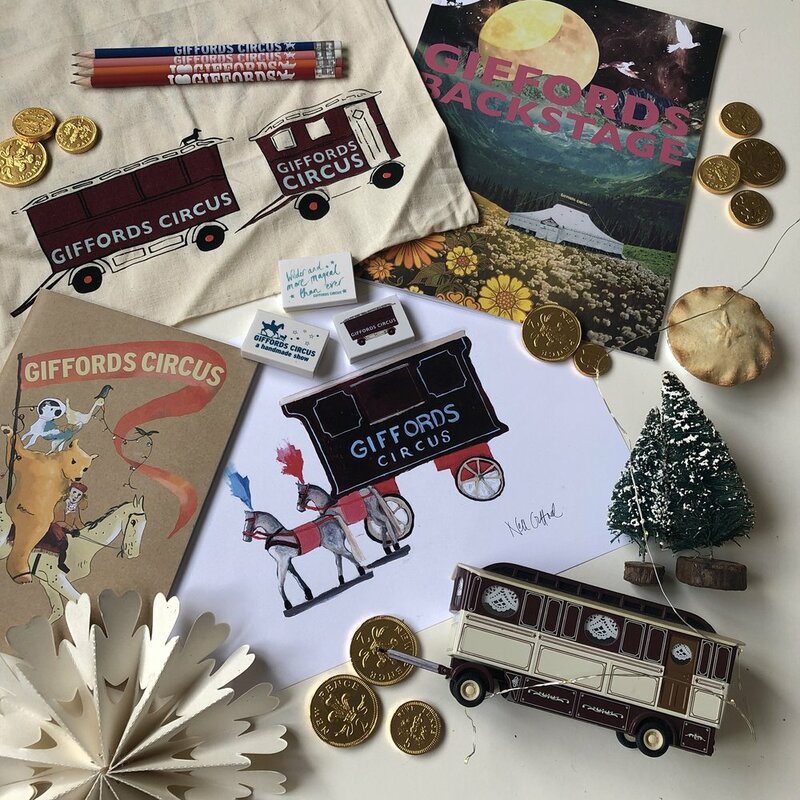 ﻿What better gift than Giffords Circus Tickets for 2019? 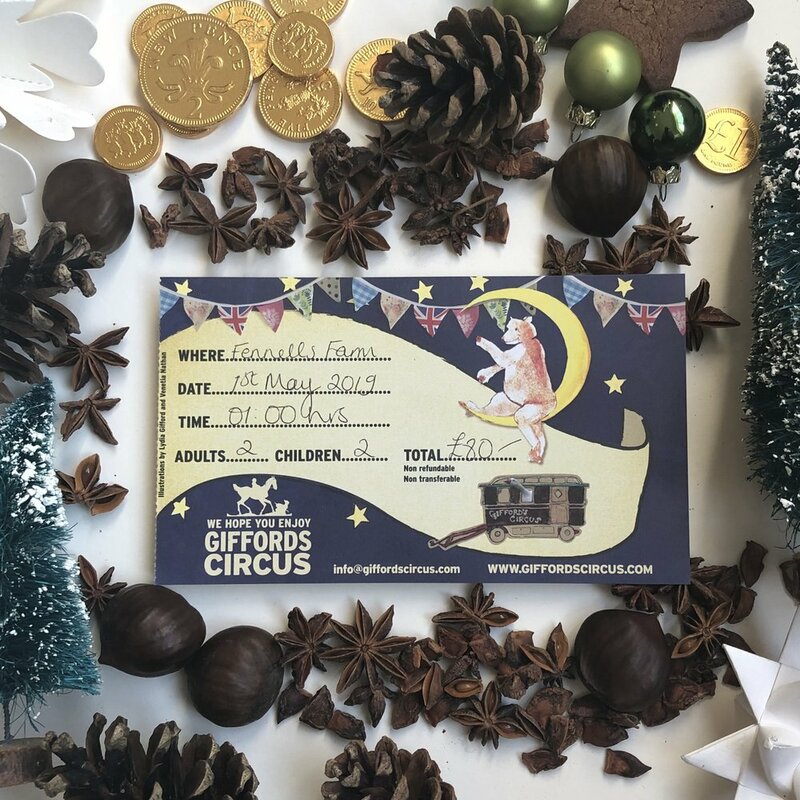 You can either buy tickets to a specific show* or buy a voucher from The Everyman Theatre (who act as our booking office) which can then be redeemed against 2019 circus tickets. Book online or call the booking office on 01242 691181. 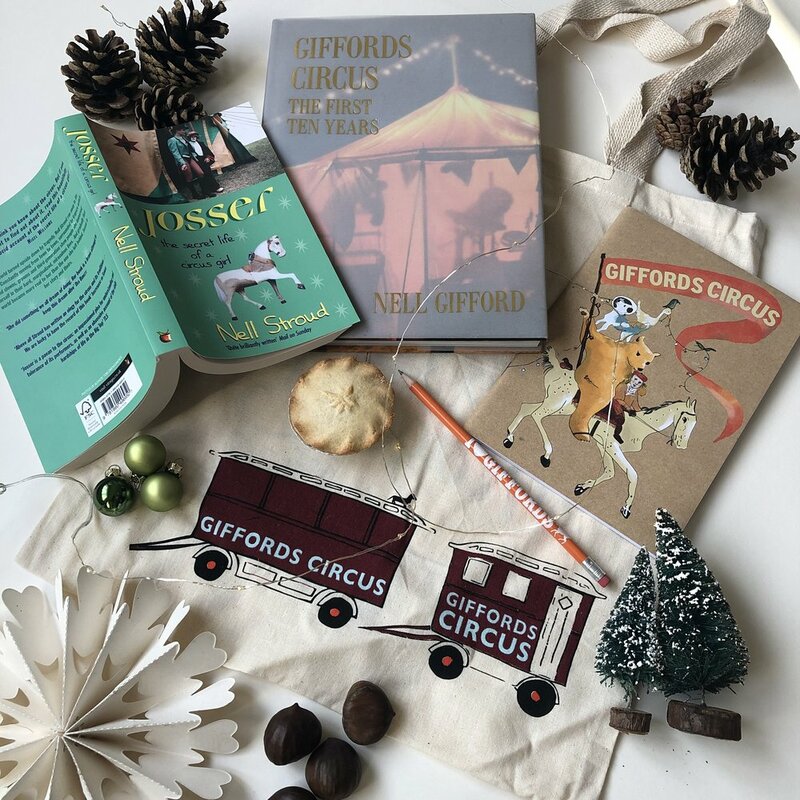 Josser and Giffords Circus the First Ten Years by Nell Gifford, A5 notebook & pencil and a wagon tote bag perfect for the bibliophile in your life. 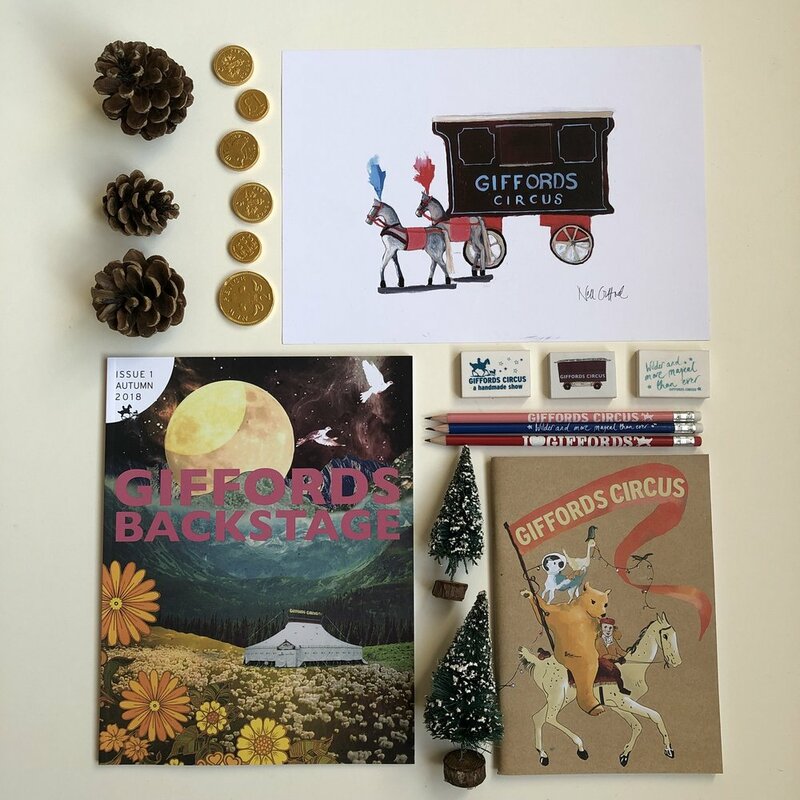 A signed Nell Gifford wagon print, Backstage magazine, A5 notebook, pencil & rubber and a wagon tote bag. We have a range of stocking fillers for under £10 - perfect for stockings! 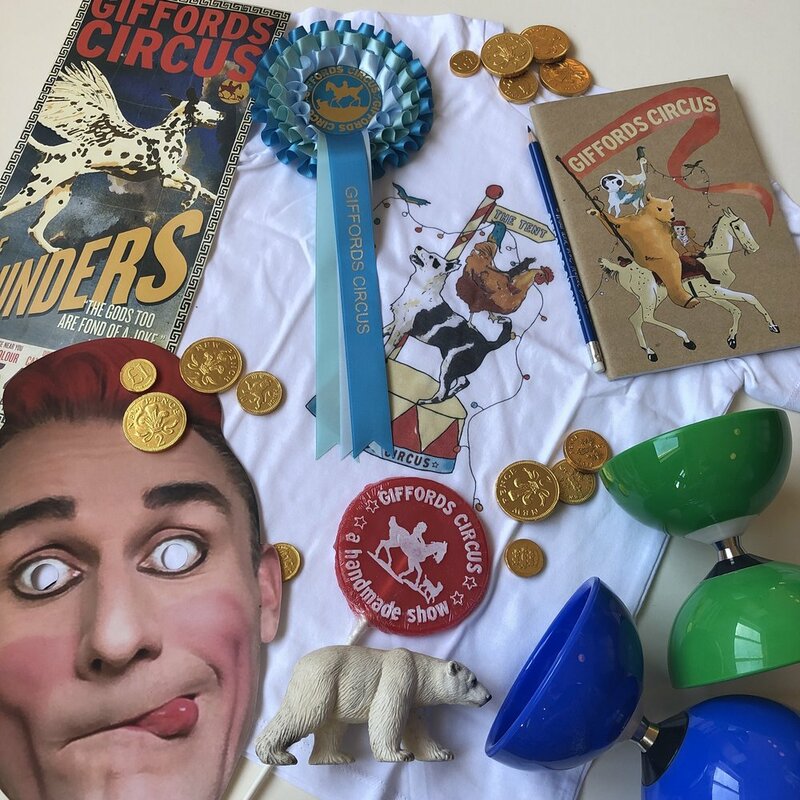 Circus t-shirt, a Nancy mask, a diabolo, posters, rosette, charm bracelets and a circus fan. A naughty Tweedy mask, lolly, diabolo, t-shirt, notebook, pencil and posters. 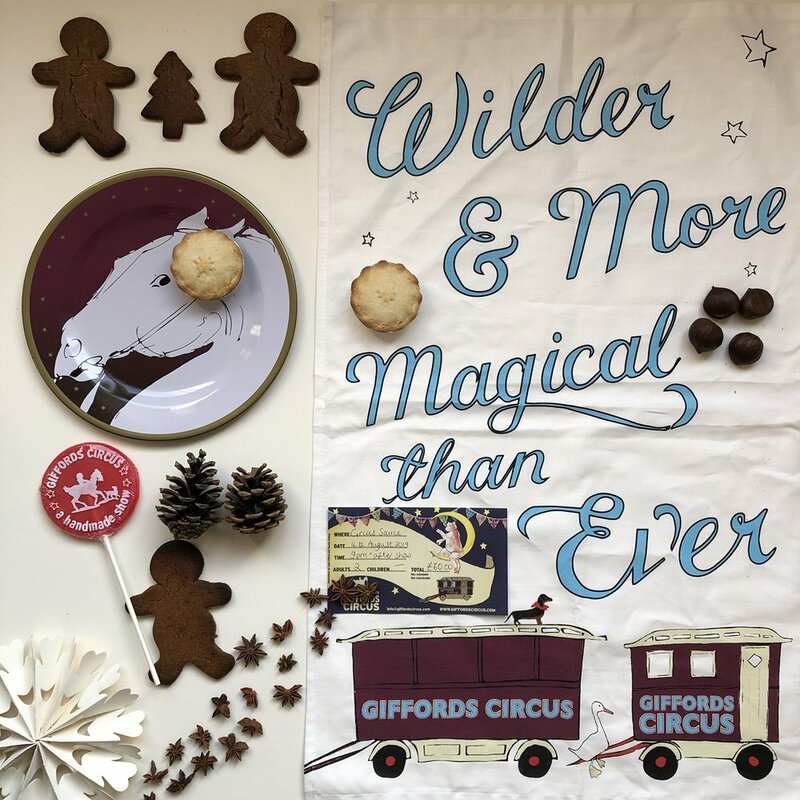 After the hustle and bustle of Christmas make sure mum sits down with a nice cup of tea in a limited edition Emma Bridgewater circus mug and a copy of our new magazine to read in peace! Is your dad as silly as Tweedy the clown? Gift him a Tweedy mask so he can deliver those cringe worthy cracker jokes in style and don’t forget to give him a tea towel so he can help with the washing up! You can buy tickets to Circus Sauce, our travelling restaurant, for lunch or dinner. 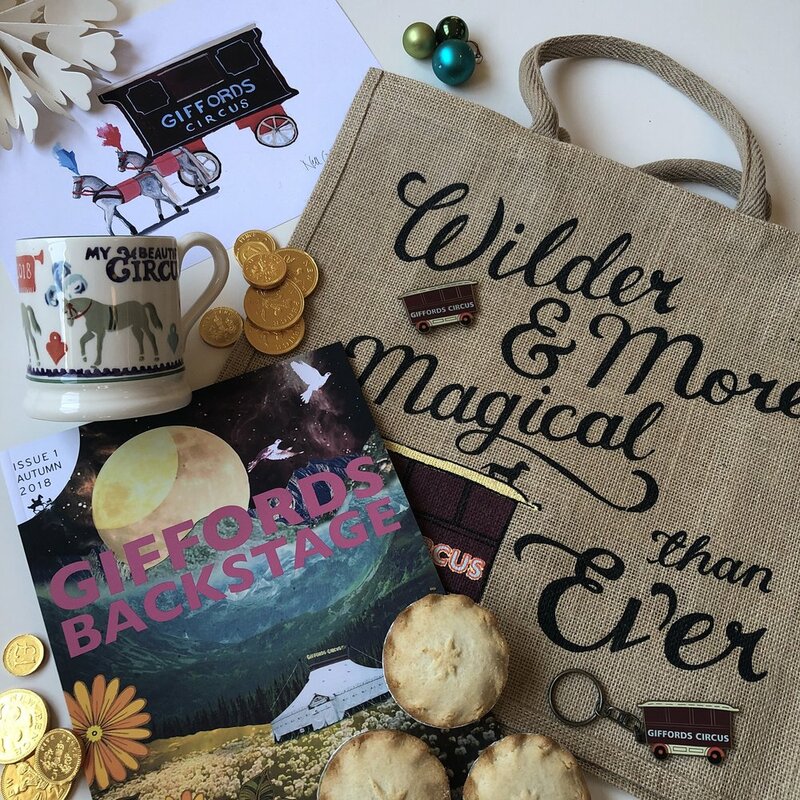 Our new independently published and limited edition Backstage magazine, makes a great gift, along with a wagon print, notebook and pencil. Our beautiful and NEW for 2018 charm bracelet with a sterling silver wagon charm with ‘Giffords’ etched into the side. Designed and handmade by Philippa Taylor of Tetbury based Taylor Black jewellery, we’ll be adding more charms over future years so start your collection with the bracelet and charm.